Katello is an open source lifecycle management plugin for Foreman which helps you handle the subscription, and repository management. Katello connects to external repositories for the content (updates) and downloads it; you can apply them (update) to the subscribed systems. You can also say that Katello is the alternate to Redhat Satellite or SpaceWalk. 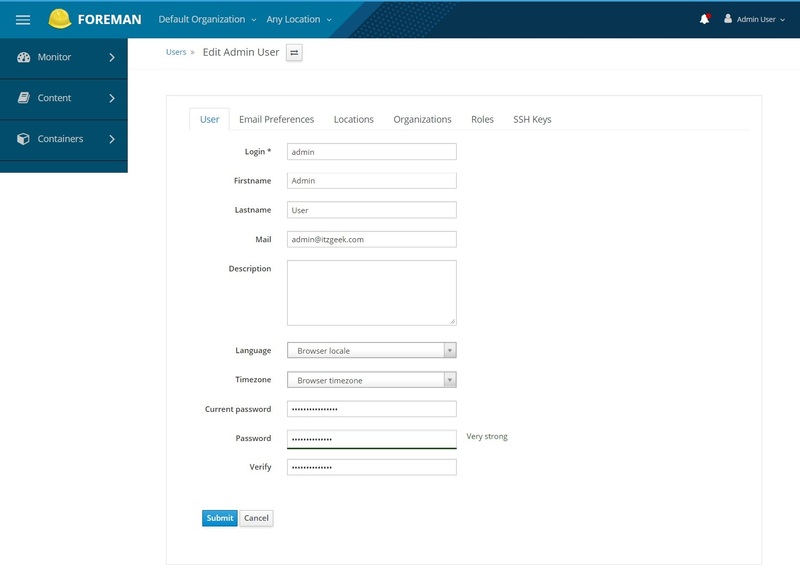 Katello also allows you to perform tasks such as machine provisioning, configuration management using foreman. Candlepin – It handles subscription management. Pulp – handles repository and content management. Smart Proxy – It acts as a proxy for some of the services like DNS, DHCP, and Puppetmaster configuration. 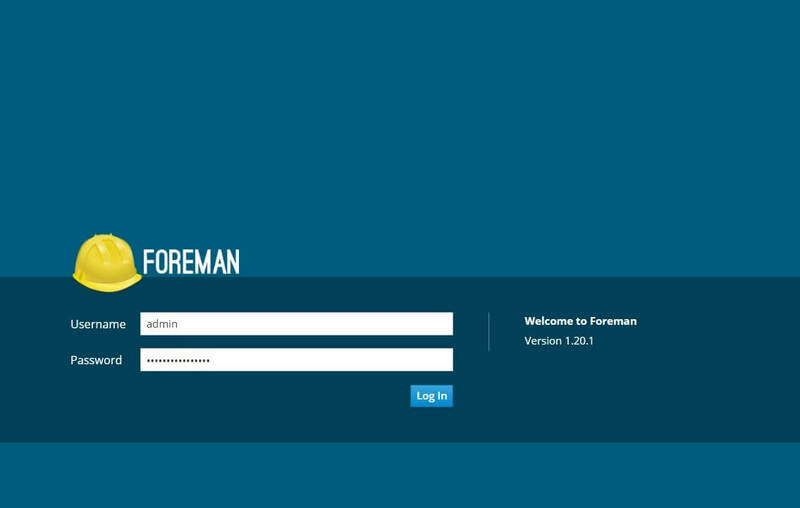 Foreman – An open source application that allows you to provision physical and virtual systems automatically using Kickstart and Puppet modules. 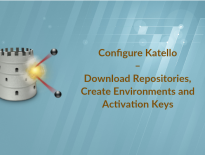 In this post, we are going to install Katello (v3.10) on CentOS 7 / RHEL 7. /var/lib/pulb holds the operating systems repository content, so allocate 30GB of space for each operating system you wish to sync. 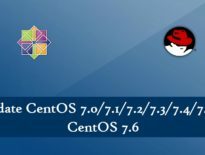 If you wish to sync only two (CentOS 7 and CentOS 6) repositories, then you should have 60GB for /var/lib/pulp file system or /var filesystem. Use the following command to set the hostname. If you don’t have DNS in your environment, then update the /etc/hosts file. Upgrade your base operating system to the latest version (Recommended). Set the firewall rules for Katello. Additionally for the smart proxy. Configure NTP service so that your server can sync time with upstream time server for accurate timing. You may need to enable following repositories only on RHEL 7. Configure required repositories for Katello. Run the following command to install Katello packages. Use foreman-installer to setup Katello. 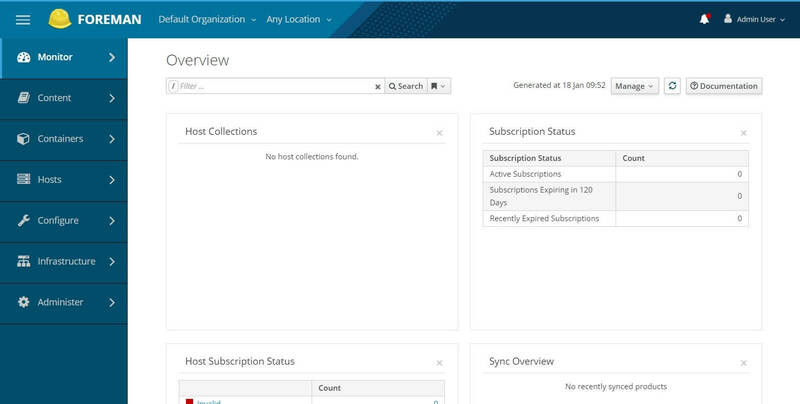 Upon completion of Katello setup, foreman-installer will display the account details (blue). You would need this information to log in into Foreman dashboard. foreman-proxy-certs-generate --foreman-proxy-fqdn "$FOREMAN_PROXY" --certs-tar "/root/$FOREMAN_PROXY-certs.tar"
Now, open up your web browser and navigate to the following URL. Log in into Katello using the credentials you got during the setup. The homepage of Katello / Foreman will look like below. If you wish to change the password of admin user, go to Admin User >> My Account. In our next article, we will be Configuring Katello to deliver patches for CentOS / RHEL clients.